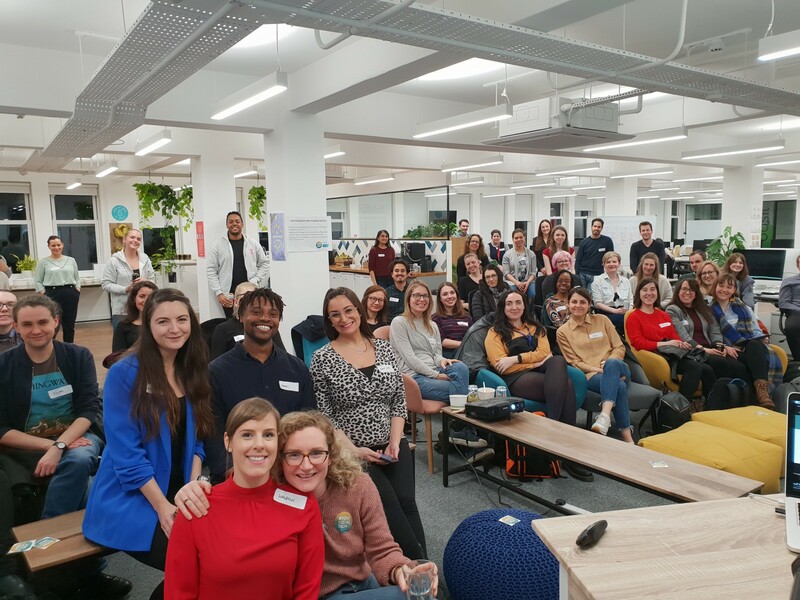 Last night we hosted an event in partnership with #YouEqualTech, who work to promote equality in the Tech sector. This event was a perfect combination of equality, sustainability and tech — three areas we are passionate about in Gousto. We celebrated the 2 year birthday of #YouEqualTech, which was an absolute pleasure to host. Abbie Morris, Co-founder and CEO of Compare Ethics, who covered how they are using data and search to help consumers consume ethically based on a wide range of criteria, tailored to them. Toby Macfarlane, a volunteer at Code Your Future who have a mission to improve diversity in Tech by giving those who have less opportunity such as refugees a chance to up-skill and find a level playing field. And, talking about Simplified Sustainability, Natalia Paine, our resident expert in customer insights. Natalia gave an eye-opening insight into food waste and plastic use within the food industry how the whole of Gousto is working together to continuously improve the impact our product has on the environment. One of the great things about how we work at Gousto is the fact our speaker could have come from across the business, each being able to cover the topic in their own way with a shared understanding. As we work to massively reduce plastic, optimise all packaging and use the space in our boxes effectively, our software engineers, data scientists and operations engineers all have key roles to play. In our Supply Tribe, we’ve done some of the key work to connect our third party tools such as Microsoft Dynamics with our in-house platform through using a number of AWS tools such as S3 and AWS Lambda to move, organise and optimise data. In turn, as we send on data to our warehouse management systems we are able to utilise the power of our engineering and optimisation algorithms. This all helps us optimise box space by tracking ingredient volume from purchasing through to forecasting, then orders and into your box. Natalia gave a great example how we are fitting more into our boxes by combining this with improved insulation, which has lead to material use, less carbon from deliveries and also cost savings as a result too. It was interesting to hear how the massive effort we’re putting in to create new forms of packing was a surprise to those listening and they were impressed too. This wouldn’t have been possible if we hadn’t integrated the concept of volume into our existing systems. This enabled us to go from a deterministic approach to what box size you are given — based on the number of people and recipes you had — to a content volume approach. A complex technical and logistical problem but one with big results for the environment and our customers. Another core principle for us is limiting food waste. Here is where our warehouse operations team and data scientists combine to produce exceptionally low levels of left-over produce each day. When you see the waste from the warehouse compared to the ingredients being picked it’s hugely satisfying and is one more reason to appreciate working at Gousto. Overall it was a pretty inspiring evening and I’d highly recommend attending future #YouEqualTech events and leave us a comment if you’d like to hear more about our work towards our sustainability mission in GoustoTech.